October 23, 2018 and officially open on Thursday, November 15, 2018 at the Longacre Theatre (220 West 48th Street). Tickets are now on sale by visiting www.Telecharge.com or calling 212.239.6200. 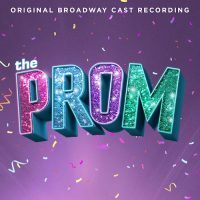 (The Drowsy Chaperone), two-time Tony Award Nominee Christopher Sieber (Shrek the Musical), Caitlin Kinnunen(Bridges of Madison County), Isabelle McCalla (Aladdin), Michael Potts (The Iceman Cometh), Angie Schworer (The Producers), Courtenay Collins (Broadway Debut) and Josh Lamon (Groundhog Day).